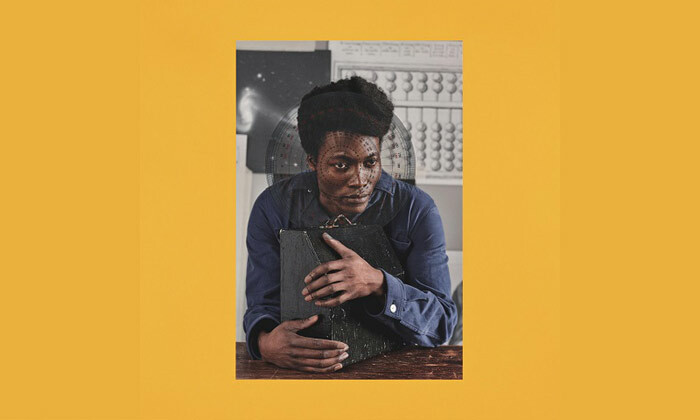 Two years since Benjamin Clementine won the Mercury prize for his debut album, ‘At Least For Now’, he makes a welcome return with his follow up, ‘I Tell A Fly’. Clementine’s new eleven track album builds on his core vocal and piano platform to deliver a far more complex and elaborate set of songs. Clementine’s playful spirit and sometimes unconventional writing and delivery are allowed to be ever more exploratory on his new album. Here there are far less traditionally structured songs than even on his debut. Although there was plenty of theatre and varying degrees of Avant-garde on, ‘At Least For Now’, here on, ‘I Tell A Fly’, he seems unconstrained altogether. Where there were more traditional songs; ‘London’, ‘Cornerstone’, ‘Adios’ etc on offer on his debut we are offered very little of the same ilk here. ‘I Tell A Fly’ is a fusion of ideas, a melting pot of influences and inspirations. Following in the prodigious footsteps of William Burroughs, and since him Bowie and Cobain, Benjamin Clementine seems to have taken a ‘Cut-Up’ approach to some of his songs. There are themes running through some of his songs but a lot of them sound like the amalgamation of two, three or, as in the case of the epic, ‘Phantom Of Aleppoville’, even four songs. From Film Noir through delirious mania, balladry and baroque Clementine weaves a convoluted construct based around his own experiences of bullying and the displacement and torment of war. The piano pieces are, as you’d expect, at times, sublime. ‘Paris Cor Blimey’, has you paying less attention to the aggravated conversational vocal and more to the cinematic soundtrack scored beneath. Similarly the mix of keys on one of the albums more immediate tracks, ‘God Save The Jungle’, greatly adds, not only to its complexities, but also its appeal. The autobiographical, and possibly most accessible song of the eleven, ‘Jupiter’, sees Benjamin Clementine in a different guise to the norm. Exploring a more laidback, smooth and melodic path with a traditional hook laden chorus Ben almost delivers up a slice of, albeit slightly left field, pop! It’s not as complicated, but it is an unexpected, very pleasurable, oddity in the middle of ‘I Tell A Fly’. Throughout the album Clementine’s work is complemented by the percussive ingenuity of Alexis Brossard. His rhythms and beats add another feature to an already detailed soundscape. From drum and bass to acid jazz influences, Brossard introduces a different dimension to Clementine’s palette. ‘I Tell A Fly’ is an ambitious follow up to his debut and, by any measure, not an easy listen. You wonder whether he’s trying too hard, making everything just that little bit too contrived. Is it brilliant? Possibly, but as a listener you do find you’re working hard for your entertainment and that also means it’s probably not going to be an album you pick out regularly and that surely has got to be the aim? Clementine’s soulful voice, however, is the one joyous constant that runs through the new pieces composed and arranged for ‘I Tell A Fly’. His unique, characterful and charming intonation elevates his vocal from just simply good or interesting to captivatingly fascinating and intriguing. His piano and keyboard work continues to enthral and enchant and his songwriting continues to confound. In essence, it’s very good, if a little hard work!